Spruce up your websites with one of these amazing dark themed website templates to give off elegance and sophistication. Dark themes are the most recent trend in web design as it gives a visually stunning as well as professional look to your website. With a clean and clutter-free layout, your online business portal will surely generate a lot of attention. That is why we have scoured the internet to give you this compilation of dark themed web designs that you can use to revamp or dress up your personal or company websites. These templates have been carefully selected to give your audience an impressive user experience and your marketing strategies the boost it needs. This is the responsive website template Thunder. It is characterized by a dark themed design reminiscent of a stormy night. With an animated header background, you will be able to entertain your audience right from the homepage. Thunder is created with an intuitive user interface to give your audience an amazing user experience during interactions with your website. Fully responsive and cross-browser compatible, it also works beautifully across all devices and screen sizes. Next on our list is the construction company website template Project. A popular theme among developers as it is an easy-to-use, plug-and-play template. It allows you to modify the theme for various purposes, needs, and preferences. Project is very adaptable with powerful features such as a mobile-friendly responsive design, one-page parallax layout with lazy effects, stick-to-top menu and much more. A beautiful dark template that is perfect for construction and industrial websites. Now, here’s a dark and elegant theme that is made especially for textile industries. However, this WordPress template can also be used for different purposes like corporate and business websites. Textile comes with a built-in Drag and Drop page builder for easy customization. Among its other features is the burger menu at the top right corner that gives your website a modern look with a touch of personality and easy navigation. Textile also features a flat-stye gallery that organizes your content to make it eye-catching for visitors. Composer is a HTML5 website template that has a modern and unique look perfect for music artists, graphic design studios and other creatives. It features a fully responsive layout with parallax and lazy effects, which makes this theme impressive. 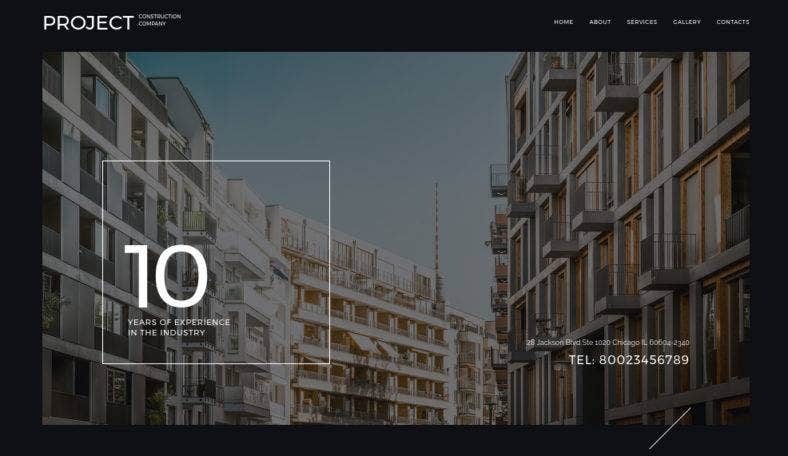 This portfolio template features a full-screen header image and content blocks that include full-width images as backgrounds. Composer has a clean and SEO-friendly code that gives you a solid foundation for building a powerful website. Being dark doesn’t always mean bad, that’s why we have this WordPress theme for church websites. This theme is well-designed and fully editable with cross-browser compatible interface, custom admin panel, and Bootstrap functionalities. Great to use for online ministry websites for churches and other religious organizations. It has a unique layout that is anything but functional. A mobile-ready responsive template, it will surely make your websites as beautiful on every device. And, of course, a dark theme for night clubs and other entertainment establishments should not be left out from this list. Oasis is a responsive WordPress template that features a one-page parallax layout with big and bold header fonts to highlight its contents. One of the best features of this template is its full-width image background that can also be integrated with a video clip. So, you can provide your viewers a taste of the experience they will have in your club. 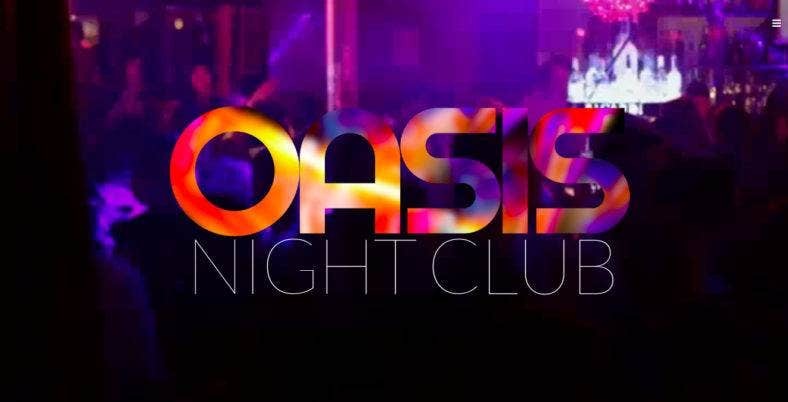 Oasis is a simple template but definitely eye-catching. 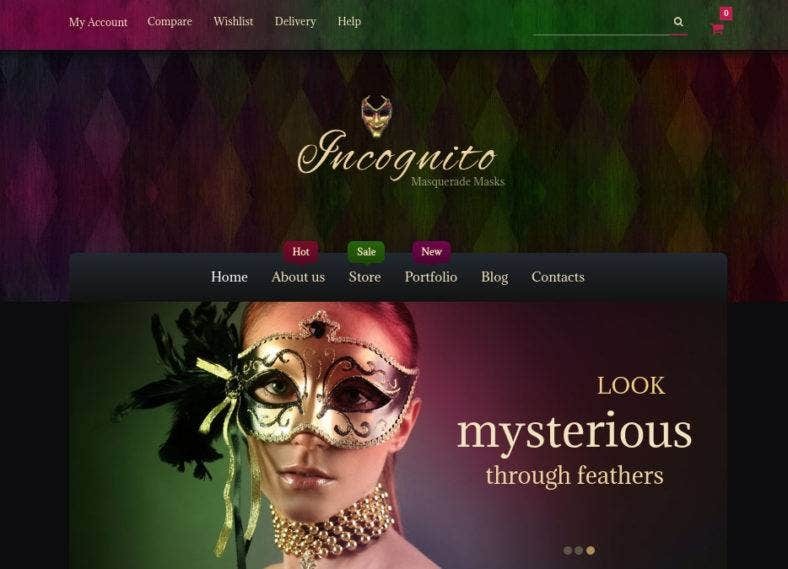 A premium WooCommerce theme; Incognito comes with a stunning, dark, and pixel-perfect design that you can use to build or redesign your online stores. It combines both classic structure and trendy aesthetic in one powerful template. With a customizable layout and intuitive navigation capabilities, Incognito is the perfect theme to use when you want to attract more audience and generate more sales. This theme is recommended for creative e-commerce shops selling crafts or gift and fashion items. 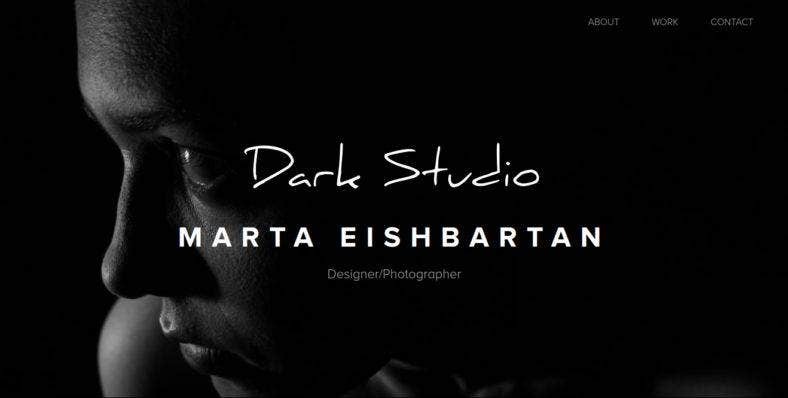 Perhaps the darkest of them all, Dark Studio is a portfolio template for photographers, illustrators, designers, and other creative individuals. It comes with a black and white color palette so you can highlight your monochromatic and full-colored images well. Dark Studio has a minimal and simple layout which makes it modern and professional looking. It is built with standard web technologies: HTML5, CSS3, JS, Bootstrap, and jQuery. So, this theme is highly flexible and customizable. Harrison is a one-page HTML5 template that features a grid system layout. With its unique block-based content, this theme will surely give your audience an extraordinary user experience. It’s a simple-looking template but full of features. 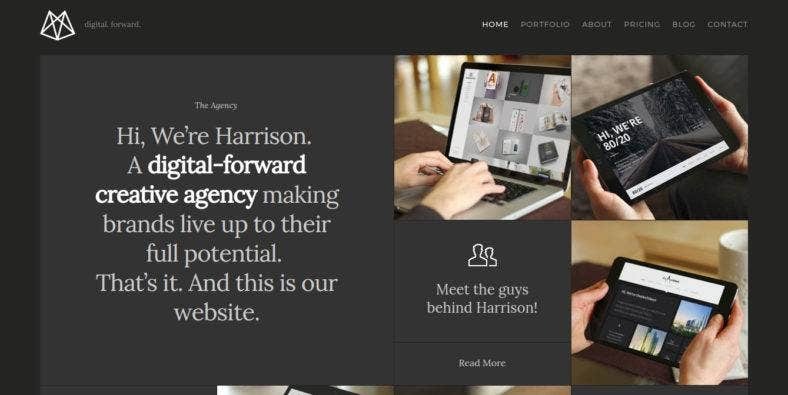 Harrison‘s amazing attributes include responsiveness, retina-readiness, and cross-browser compatibility. It is perfect to use as a portfolio, business or corporate website template for creative agencies, design studios, and marketing brands. For bloggers out there, here is a dark and minimal theme that makes a perfect platform to write and share your deepest thoughts and profound insights. Cosmo is a simple yet powerful template that comes with a bunch of features that will help showcase your content. Cosmo is a fully responsive Ghost blogging platform that is characterized by a clean and modern aesthetic with special attention to details. It includes social media feeds and supports multiple authors, so you can share your website with friends and contributors. This responsive WordPress template enables you to choose between light and dark themes. 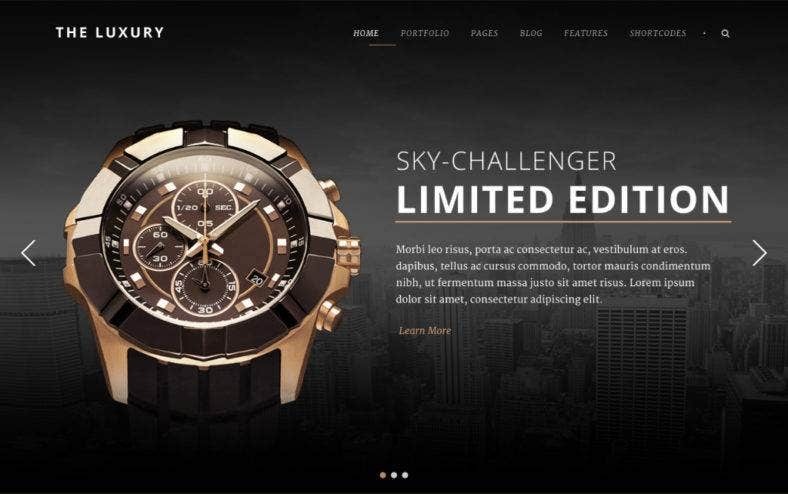 However, for contents that require an elegant and sophisticated design, the Luxury‘s dark version exudes just the right amount of luxury for your website. The Luxury also comes with a free WooCommerce plugin so you can turn your personal website into an eCommerce website. With this function, you can sell luxurious products such as watches, bags, jewelry, and others pretty easily. Gravity 360 uses a gray color scheme instead of the black one to give off a dark aura to your websites. It’s a multi-functional and multi-purpose template that includes 17 PSDs to choose from and customize to suit your needs and preferences. It is characterized by a dark aesthetic design with transparent boxes to separate different types of content. It has a classic web design layout with a ready-to-use sidebar. 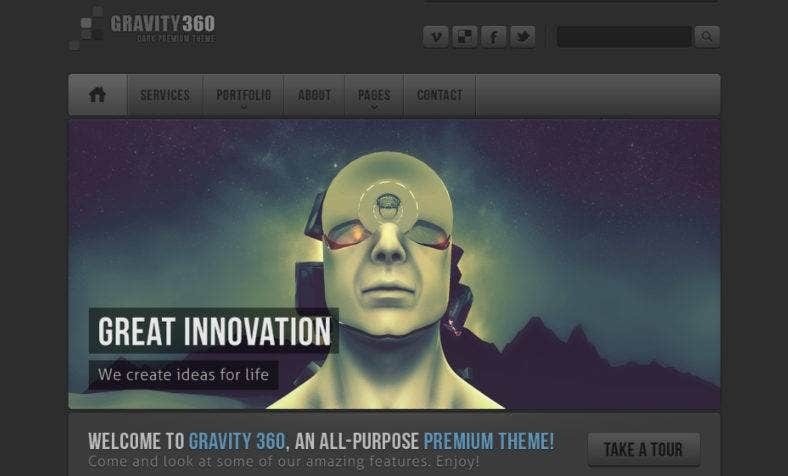 Gravity 360 suits well with review sites, content management systems, blogs, and portfolios. 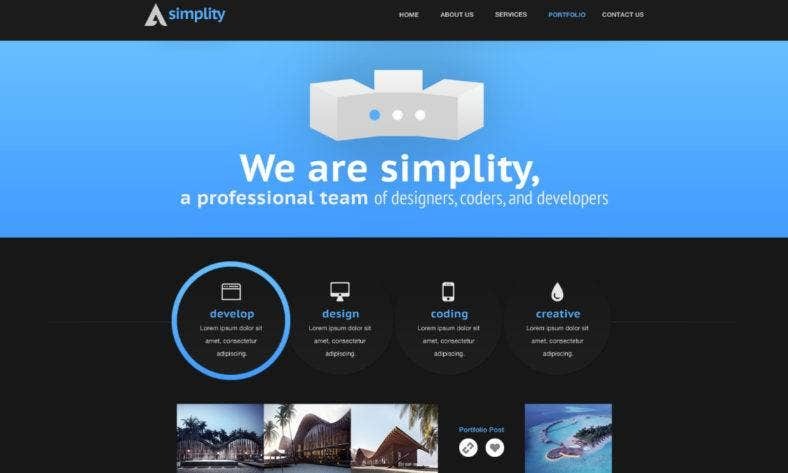 Simplity is a responsive PSD theme that has a fuss-free simple design, yet packed with effective features. It comes with 14 PSD pages to choose from with 2 color options–light and dark–each. Also, there are two different homepages with a choice of overlays. Simplity is highly editable so you can easily move and adjust elements around and modify the look of your web pages. It also allows you to incorporate new components like buttons, shadows, columns, and other design elements. Another one-page parallax theme is Andare, which features a responsive one page layout in a clean and minimal design. If you’re going for a mysterious and dark aesthetic, then, this is just the right template for you. Andare comes with a header that can either have a parallax, slider, video, zoom and pattern styles. Also, its awesome features include an isotope portfolio that you can sort, perfect for personal and corporate websites alike. 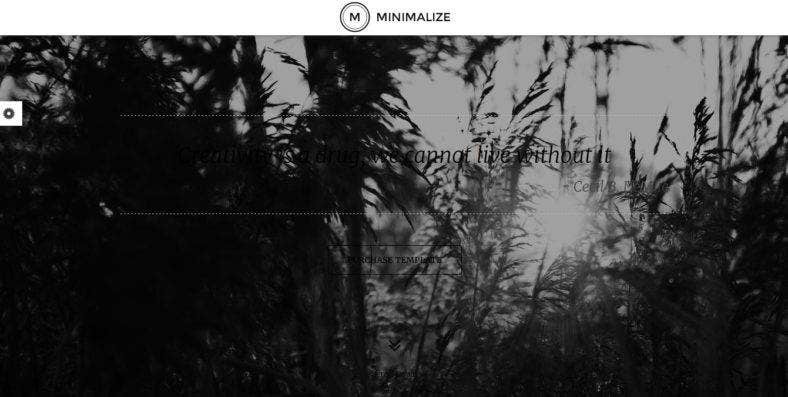 Minimalize is a single page website theme that also comes with a light and dark versions. It is characterized by amazing parallax effects as well as layer and revolution slider. It uses Google Web Fonts and Font Awesome Icons, so it’s guaranteed to look really good. Both its light and dark versions exude timelessness and elegance that enable you to create a classic website. With the help of awesome page builders with a complete set of UI elements, Minimalize makes not just a stunning but functional website. Klass is a minimal and dark template suitable for portfolios of artists and creatives especially those dealing with the fine arts. It’s clean and crisp design and layout makes artworks standout as they are displayed on its pages. Built with the Bootstrap framework, it offers high versatility and customizability. Klass uses a masonry-type portfolio and blog layout with isotope filters as well as Google Fonts and Font Awesome Icons. so, it looks modern and state-of-the-art. To end this list, we hope that you were able to choose or find inspiration from one of these themes. If you’re not ready to go premium yet, you can check out our list of free website themes and templates which are updated every month to ensure you don’t get left behind and get the latest web designs out there.